US President Barack Obama landed in Havana Sunday to great fanfare, both in Cuba and stateside. His visit marks a significant shift of the United States’ approach towards the socialist state, and the possibility of cooperation after decades of hostility. 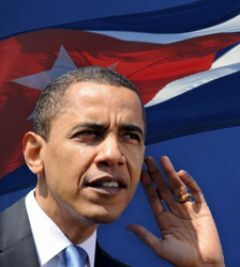 US media generally struck a hopeful tone, with a surprisingly nuanced mix of positive and critical stories about Cuba. 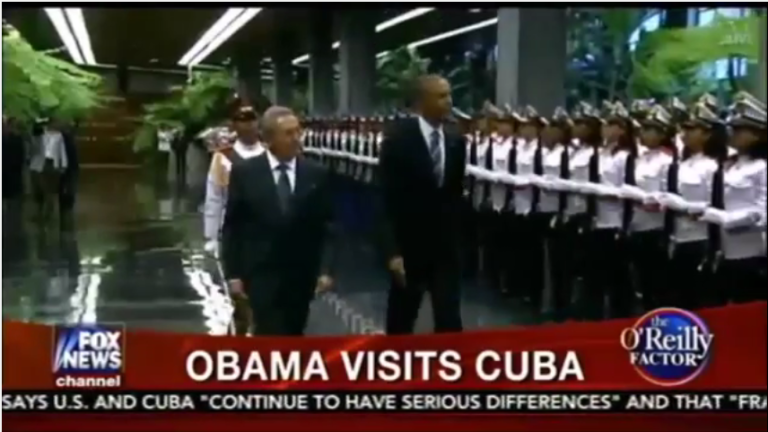 Some Cold War hold-outs in the media just weren’t having it, though, taking the occasion to feign outrage that Obama could visit a country with such a terrible human rights record. While American human-rights hypocrisy is nothing new, a string of Bush-era, pro-torture, pro-Guantánamo pundits expressing indignation at Cuba’s human rights failings was still remarkable. 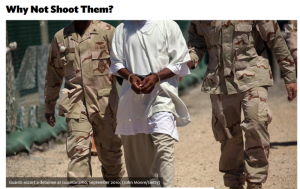 Mr. Thiessen, a practicing Roman Catholic, says that waterboarding suspected terrorists was not only useful and desirable, but permitted by the teachings of the Catholic Church. This will prolong the life of the dictatorship, is worsening the human rights situation there, marginalizing the democratic opposition and compromising US national security. Thiessen even had the gall to cite Amnesty International, which has roundly condemned the US’s extrajudicial prison in Cuba that Thiessen loves to champion. National Review‘s concern about the rights of prisoners in Cuba does not extend to all prisoners in Cuba. If it comes to that, we should let someone else do it. We should send him to another country that will do the job…. Look, this is going to be a messy war and you have to do some underhanded things. But a patina of revolutionary romance, embodied by that image of Che looking down on President Obama, still hangs over Cuba. It makes its human-rights abuses, theft and lies an afterthought, or even excusable, for the American Left. Bernie a lefty sucker for Cuban line on health care. If he got sick there, he’d medevac out. And where’s his concern for human rights there? In almost 6,000 tweets, Jonathan Alter had not once tweeted out the words “human rights” until that moment. Per usual, “human rights” were not a categorical imperative, or a moral framework; they were merely a weapon to be wielded against America’s enemies when our establishment pundits saw fit, and to be discarded just as quickly when they didn’t. 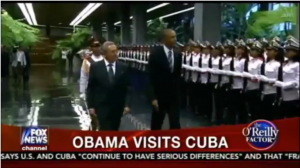 Bill O’Reilly on Obama’s trip to Cuba: He shouldn’t have gone. Human rights are important. Human Rights™, as arbitrary tools of Western propaganda, are dangerous. Not only because they serve to bully unfriendly nations with cheap sloganeering, but they also, in the long run, undermine the otherwise noble and well-intentioned enterprise of establishing international norms. “The problem with living outside the law,” Truman Capote once quipped, “is that you no longer have its protection.” The same is true for every Bush-era pundit who served as ideological shock troops in one of the more shameful episodes of American history. These talking heads can criticize Cuba’s controlled economy, they can criticize its leadership, they can criticize its immigration policy—but they have no grounding, intellectually or morally, to criticize its human rights record.